Thanks to Fenrir we've got a new captcha and I've turned registration back on again. Hopefully it helps! I've also started building a new backend for the site. There should be a lot of new features to go along with future game updates, improvement to basic stuff like the download page and some visual updates, but it won't be ready this year. All current accounts and posts will be carried over to the new system when it's ready. 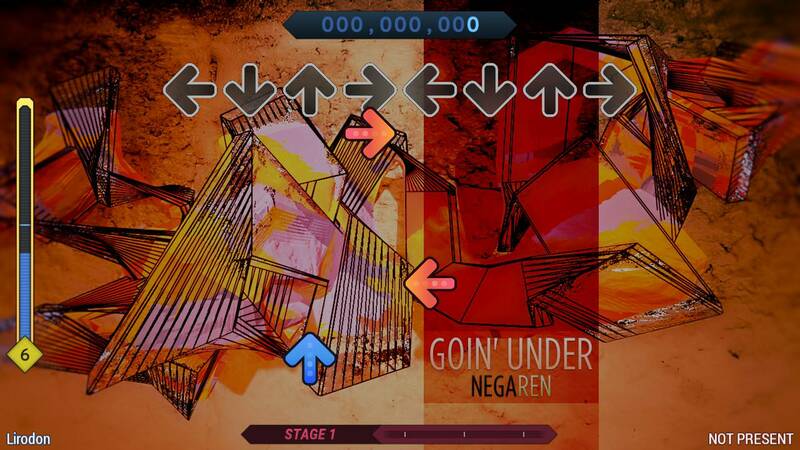 Latest StepMania 5.1 release is 5.1.-3. Read the release notes for info on updating themes and noteskins. * When picking songs for edit mode, they are displayed in a menu, instead of one at a time. Also, you can use page up and page down in the menu. * Menu of recently edited charts for quick navigation when returning to editing. * Loading autosaves temporarily disabled. * Practice and Edit Courses temporarily inaccessible. 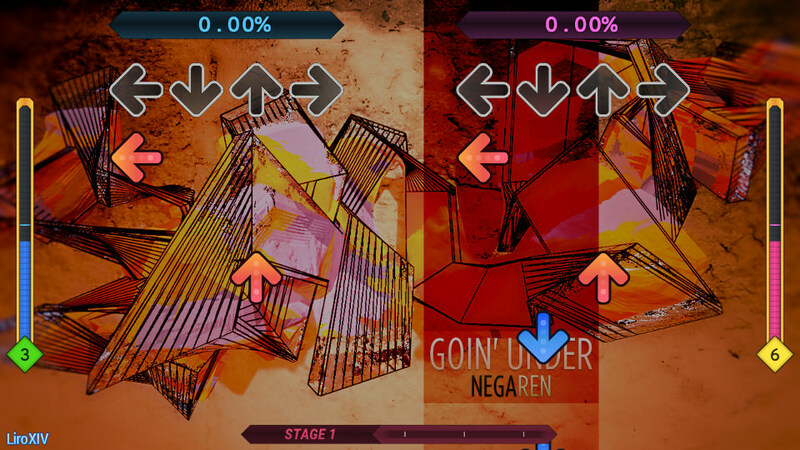 In a couple weeks, the 5_1_0 branch on the stepmania repository will be merged into the master branch. Anybody that maintains a forked project based off of stepmania's master branch should switch to using the 5_0 branch instead of master. No more releases are planned in the 5.0.x line, and there probably won't be any further commits made to the 5_0 branch. The 5_0 branch exists only to allow backporting of fixes if someone other than the main stepmania team wishes to do so. Bugfixes, NewField improvements, and a new fullscreen backend for linux. This will probably be the last release in the 5.0.x line. Maintaining two separate branches is a hassle, and the 5.1 branch is in good shape. 1. 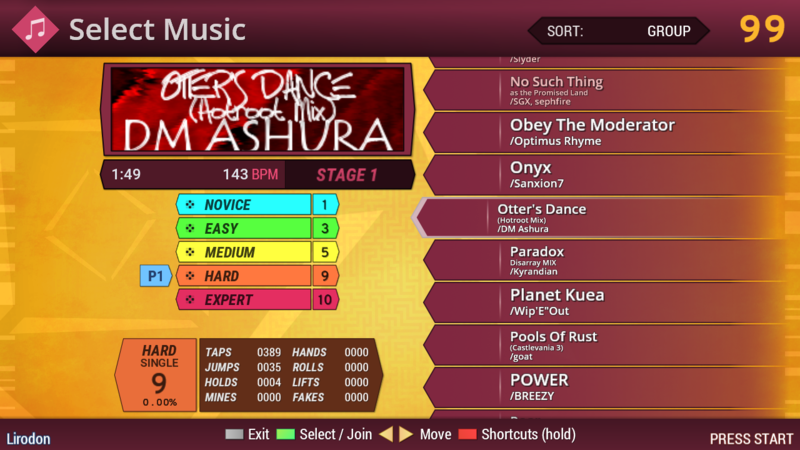 The mainline stable release of StepMania 5.0.10, with many bug fixes and a few new features. Some of the bug fixes and features relate to compiling for those that compile StepMania from source. 2. 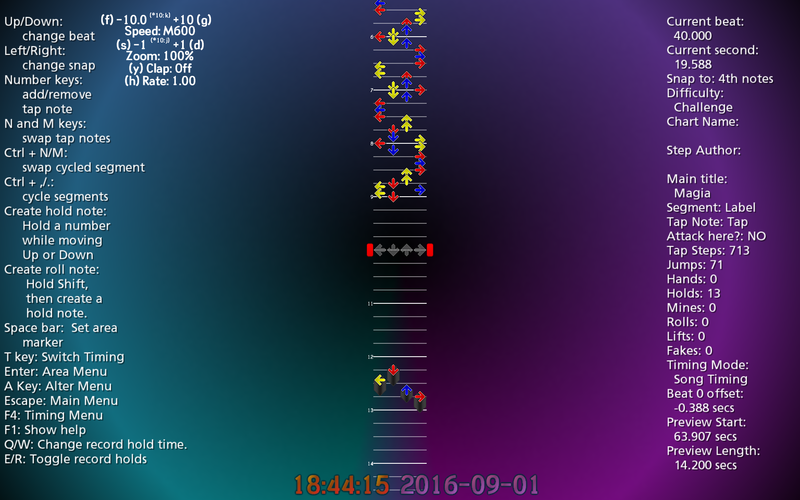 An alpha release of StepMania 5.1.0, which has the beginnings of structural changes to StepMania. This is for noteskin and theme authors who want to create or port noteskins or try out the new modifier system. Make sure you put the right treat in your bag, and have a happy Halloween from the StepMania team! KNOWN ISSUE: When upgrading from an older version of the game, uninstall manually. If it's too late and the game crashes at startup, uninstall and delete the _fallback folder, then reinstall. HAPPY 10th ANNIVERSARY OF STEPMANIA 3.95 EVERYONE!!! Since 19th June 2005, Stepmania 3.95 has enriched the lives of over 9,999 stepmania players around the globe - players and developers alike - with features such as 717x616 resolution support, the goodest default theme and noteskin, and GLORIOUS XML BGanimations! Stepmania 3.95 has also been an absolute haven for developers of both themes and gimmick simfiles, providing HOURS of fun when creating even the most simple things that you just don't get with any other version of stepmania - you just don't know what that WaCkY stepmania engine will do next!!! What will happen when you pick that option in the edit menu? WHO KNOWS! Fun for the whole family guaranteed! And not only that, but making a cool gimmick simfile in stepmania 3.95 renders you a PRO! Why use something easy and BORING like stepmania 5 where everything's pretty much done for you, when you can be a REAL MAN like the machine code programmers of the past and write your code in the number one programming language - XML! So let's all raise our glasses to ten years of the greatest version of Stepmania ever to exist - Stepmania 3.95! The news forum is over here if you need it!